Our 100TB Netherlands Dedicated Servers located at Netherlands and Germany. Also we providing 1GBps and 100TB bandwidth limit at the tip of their fingers. Our 100TB Netherlands Dedicated Servers cut down on your large-scale operation costs drastically and allow massive amounts of data to be distributed throughout your network at blazing fast speed. These servers are exceptional for off-site backup apps, high traffic websites, storage or heavy users of bandwidth. All our servers are housed in our leased data centers in Netherlands and every server is connected to a 1GBps dedicated port. We had been getting too many claims from our existing clients asking us to provide 100TB Netherland Dedicated servers and hence we tied-up with LeaseWeb, which is known for its surpassed networking services all around the world. This collaboration has been beneficial on both ends - We proudly announce that Netherlands now has the speed of 1GBps and 100TB bandwidth limit at the tip of their fingers. 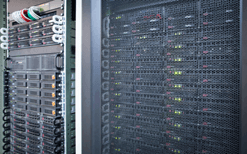 Why Select 100TB Netherlands Dedicated Servers Hosting? 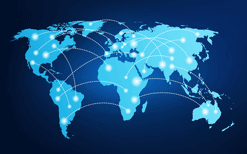 Our connections with the leading Internet Exchanges in multiple locations around the world help us in providing the lowest latencies and highest data transfer rates to our clients. Not only do our 100TB server hosting come with around the clock support, but in fact all our services do. Our onsite technical staff work 24x7 to get your queries answered. All our 100TB Bare Metal servers come with free server control panel which is totally newbie friendly. So you can manage your servers from the ease of your computer, tablet or smartphone on-the-go. You can take over all aspects of your dedicated server from remote management, to server reboots, checking system resources, reverse DNS and many other added features.